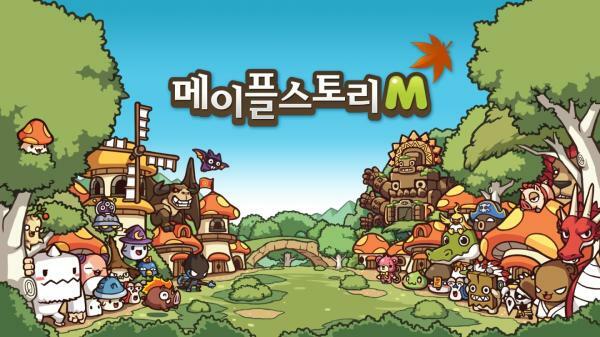 MapleStory M is the mobile version of the classic MMORPG from Korea. Now you can play the open beta of mobile games on Android smartphones. Do you still know the Korean online role-playing game MapleStory? This is an MMORPG that appeared in Korea in 2003 and in Europe in 2007. As a special feature, it has a cute anime graphics that you experienced in 2D sidescroller look. In Korea, since 2016, there is a mobile version called MapleStory M for smartphones. The game was successful and popular there. It hit over 2 million downloads in the first two weeks, making it # 1 on the Google Play Store and App Store. Now MapleStory M is also available in Europe and the US as a free open beta! The MapleStory M beta will be available by January 30, 2018. You can download and play the game via Google Play on your Android devices. An iOS version is scheduled for release later in the year. Return to Maple World: Fans of the original MapleStory encounter many characters and places from the original. 5 Original Characters: With Dark Knight, Bowmaster, Night Lord, Bishop, and Corsair classes, you get 5 familiar MapleStory hero types. Daily dungeons: You can clear daily dungeons and get so jewels for character upgrading. Mini Dungeons: Here you can capture special quest items. Mu Lung Dojo: A challenge in which you clean up level by level of monsters until you reach the final boss Mu Gong. Nett's Deadly Pyramid: Mummies and treasures await you here. Raids: You can form teams with up to ten friends to battle raid boss Zakum and capture exclusive rewards.